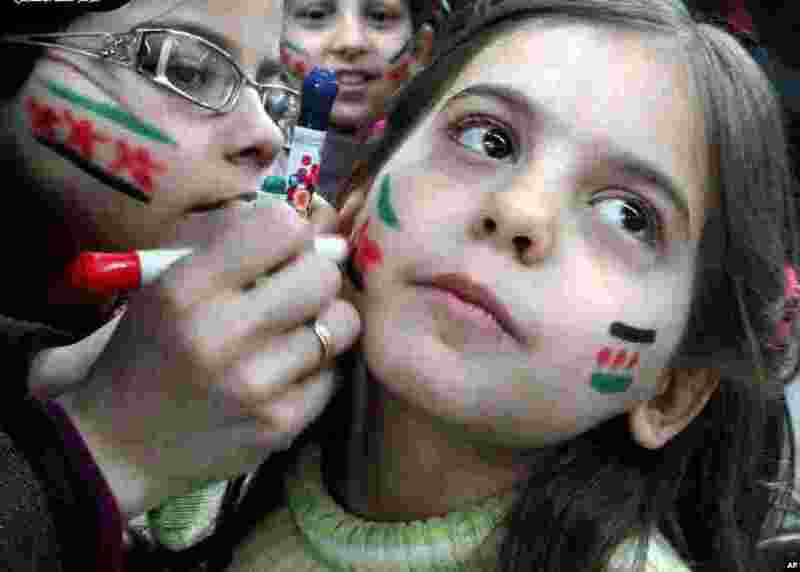 1 Girls paint their faces with colors of the Syrian revolutionary flag during a fesitval, in Aleppo, Syria, March 20, 2013. 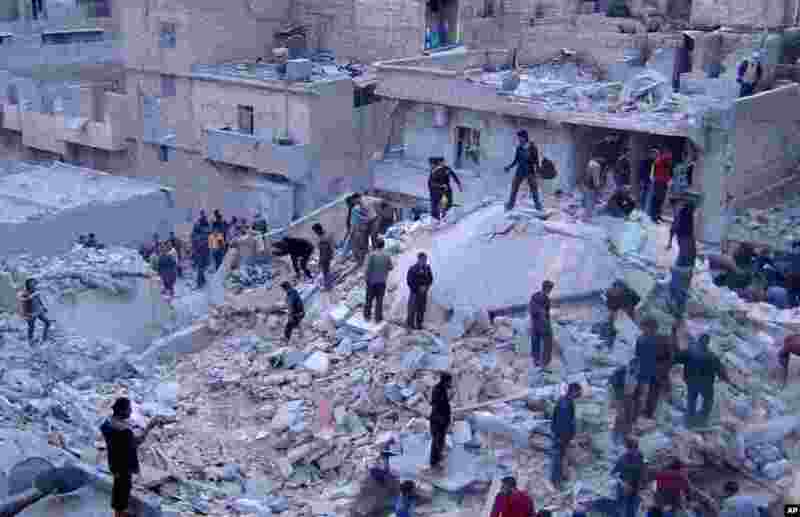 2 This citizen journalism image provided by the Aleppo Media Center shows Syrians searching for dead bodies in the rubble of buildings hit by Syrian airstrikes, Aleppo, March 20, 2013. 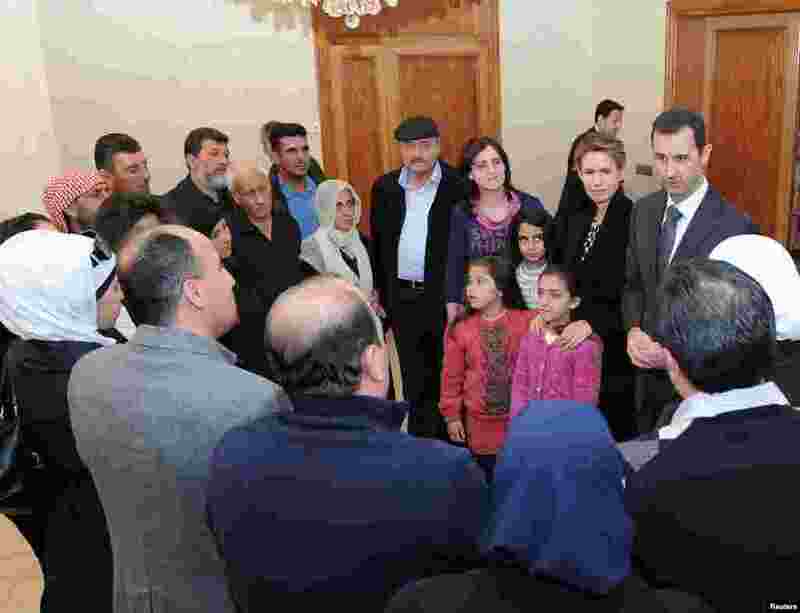 3 Syrian President Bashar al-Assad and his wife Asma visit families of students killed during clashes between forces loyal to him and their opponents in Damascus in this handout photograph released by Syria's national news agency SANA on March 20, 2013. 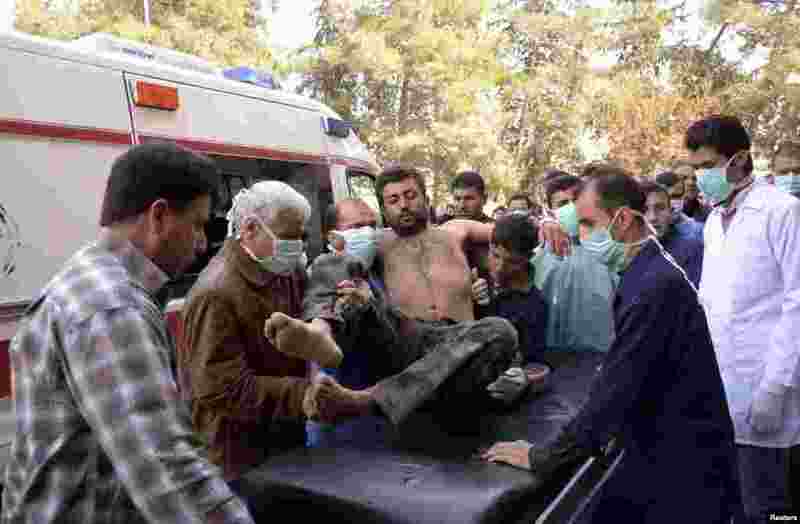 4 Residents and medics transport a Syrian Army soldier, wounded in what they said was a chemical weapon attack near Aleppo, to a hospital, March 19, 2013.